Rules such as queuing, greeting or tipping are something we all know: they belong to the realm of social norms, informal and unspoken understandings that are considered acceptable in a group and help keeping our daily social interactions running smoothly. But the nature and dynamics of social norms, as well as their spreading within societies, is still largely unknown. How do norms may emerge and become stable? What motivates people to obey norms? Why are some norms more accepted than others? In some cases, social norms may support practices that are harmful for societies, such as tax evasion or paying bribes. To eradicate these damaging behaviours it becomes crucial to understand how social norms can be changed and the type of interventions that can favour beneficial norm change and its spread. 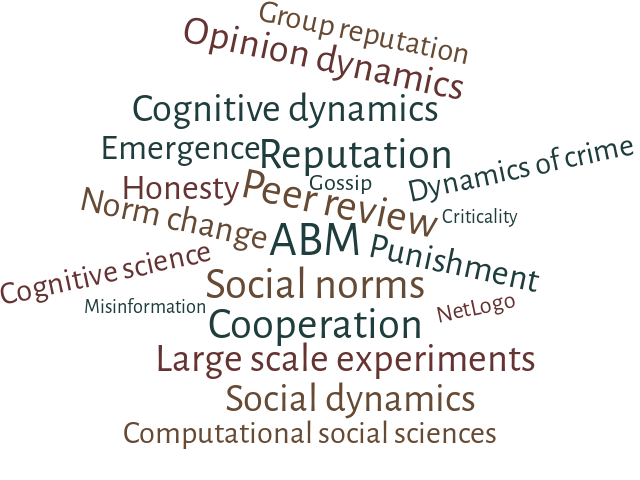 At the LABSS we adopt an interdisciplinary and cross-methodological approach, in which we combine knowledge and methods from theoretical and experimental social sciences with cognitive approaches and agent-based modelling, to explore the nature and dynamics of social norms.